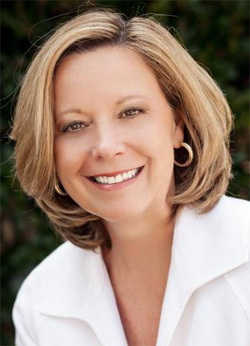 When it comes to real estate on the Eastern Shore, Paige Moore has gained the respect of her buyers, sellers and real estate colleagues after proving, time and time again how much experience and knowledge matter in this business! She is the Broker/Owner of RE/MAX By The Bay in Daphne and Fairhope and maintains an excellent reputation as one of the area’s top REALTORS®. Take a look at her more than 70 online reviews to find out exactly what former clients are saying. Paige Moore is dedicated to her clients. Her first step is to listen and understand exactly what her buyers and sellers want and need. Her dedication to her clients’ goals is evident in the care she takes in the entire process. When listing a property, Paige pays careful attention to establishing the right list price, capturing high quality photos of the home, ensuring all the necessary documents are in order, and continuously communicating with the seller from start to finish. Locally, Paige gives back to local charities including donating a portion of each closing to the Children’s Miracle Network and local donations toward the arts and education causes. 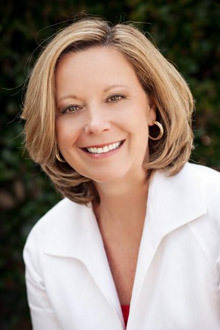 She is on the Board of the Eastern Shore Chamber of Commerce and Baldwin County Education Coalition, and is a member of Baldwin and Mobile Association of REALTORS®, Alabama Association of REALTORS® and National Association of REALTORS®. Looking for an agent with the kind of responsiveness that existed before the world became automated? Sharon Lynn loves technology and still understands the importance of listening to her customer’s needs. Real estate is complex these days and it is important to hire an agent that will not shy away from lots of details. Sharon Lynn’s experience in the U.S. Air Force and working for Continental Airlines honed her expertise in attention to detail, while providing superb customer service. As a REALTOR®, Sharon Lynn thrives on helping her clients explore homes and vacant land to find just the right property while guiding them through any hurdles that can appear during a real estate transaction. Sharon’s love for real estate grew from watching her mom, a REALTOR® in Houston. She pursued a career in real estate once her youngest child was old enough to not need mom around and was firmly situated in school. Sharon has always been involved in her church community, Corpus Christi Parish in Mobile, Ala., and in Christ The King Parish on the Eastern Shore. When she is not busy as a REALTOR®, she volunteers for church and Christ The King School. Sharon enjoys the best of the Eastern Shore lifestyle by entertaining every chance she can get. She and her husband love to cook all kinds of food, and finding just the right wine to pair with dinner! She loves gardening, crafting and organizing too. She is also an avid college football and basketball fan. What Sharon likes most is people! Especially helping others find the home of their dreams.